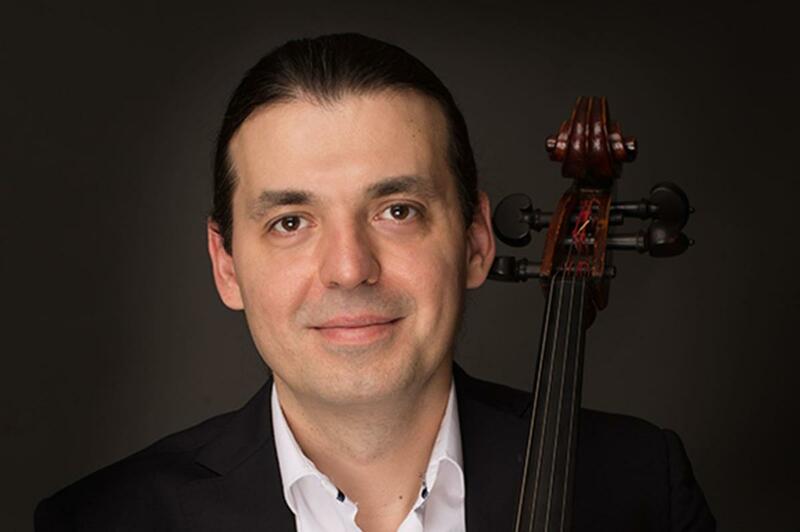 Viktor Uzur is cello professor at Weber State University. He also directs Strings Chamber Music Program and is a founder and director of the Bonneville Chamber Music Festival in it’s 10th season. Uzur has appeared as a soloist, chamber musician in many countries of Europe, Asia, North America and South America. His performances, interviews and compositions have been broadcast on television and radio stations in the former Yugoslavia, Russia, and United States. Uzur is regularly featured on NPR’s “Performance Today” with the Richter Uzur Duo. His performances, interviews and compositions have been broadcast on television and radio stations in the former Yugoslavia, Russia, and United States. Uzur is regularly featured on NPR’s “Performance Today” with the Richter Uzur Duo. He has given concerts and has been an artist in residence at festivals in Austria, Spain, Italy, France, Russia, Canada, Korea, China, Latvia, Brazil, United States and the former Yugoslavia. His previous engagement as the principal cellist and soloist with ARCO Moscow Chamber Orchestra brought him many CD releases and international tours. He is a prize winner and a diploma recipient at competitions such as the Yugoslavian National Solo Competition, Sarajevo, Jeuness Musicales International Competition, Belgrade and XI International Competition Tchaikovsky, Moscow. His most recent recordings include Solo Cello, String Theory, Viktor Uzur in Recital and Entertainers.